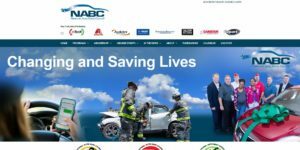 The National Auto Body Council on Monday formally announced the launch of its revamped website, adding a locator highlighting NABC members and improving functionality for those considering becoming one. Brusco on Tuesday said the site had been in the works for about 10 months. New items include the shop locator, which incorporates Google Maps and provides users with contact information for NABC members and links to their individual shop or corporate websites. Brusco said that the organization hadn’t yet discussed marketing the locator to consumers, as launching the site was NABC’s priority, but he pointed out it could also be marketed to parties like insurance agents. “There’s a lot we can do with it,” he said, describing the locator as making membership even more valuable. A revamped calendar page can be toggled between NABC events; NABC program events like Recycled Rides giveaways and First Responder Emergency Extrication sessions; and industry events like this month’s SEMA, Collision Industry Conference and MAACO Conference. Other elements of the website had functionality prior to the revision, but “this website is written in the latest code” and features templated pages “updated to the 2017 pages,” and it makes it far easier to complete actions like sponsoring fundraisers, according to Brusco. “It’s all completely automated now,” he said. In other NABC initiatives, Brusco said the organization was “in the final stages” of its search for a successor to outgoing Executive Director Chuck Sulkala, who will retire at the end of the year. NABC has interviewed candidates and might have an announcement sometime between the end of SEMA and Dec. 31.